Avis (right) was involved in many student activites, including the debating team. Avis Hunter Marshall was born in 1906 in Stewiacke, Nova Scotia. 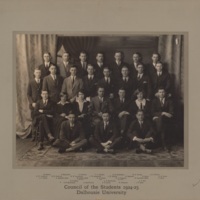 A member of the class of 1927, Avis was very involved in the Dalhousie University student community. 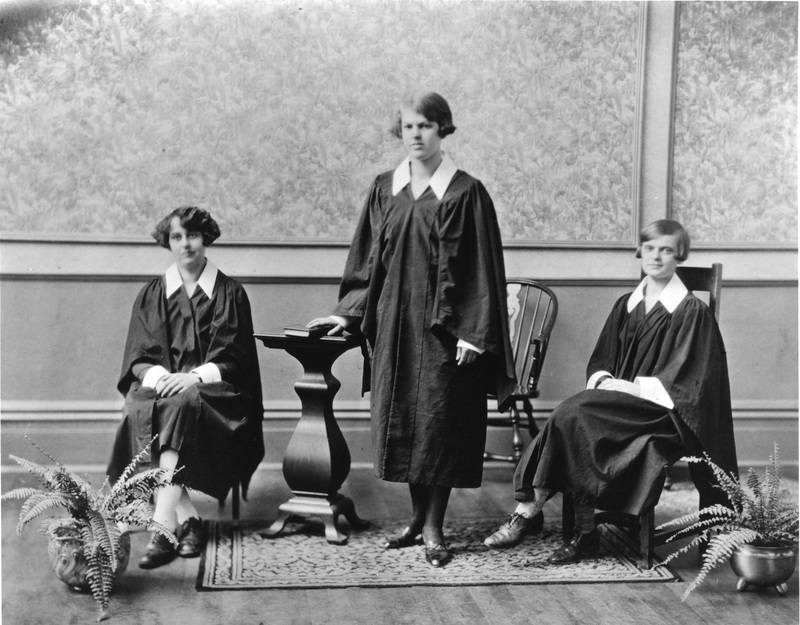 She was a member of the women’s debating team and the Council of the Students, serving as vice-president in 1925-6. 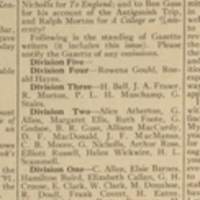 Avis became an associate editor of the Dalhousie Gazette and was awarded a “D” for her work. 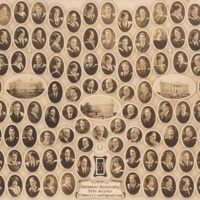 Notably, Avis was the editor of Dalhousie’s first yearbook in 1927. She was also involved in social activities, such as establishing a University theatre night. 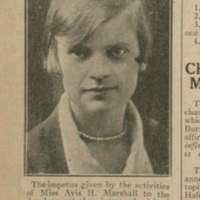 Avis was chosen to be a member of the Malcom Honor Society in her senior year, as was also elected Life Vice-President for the Class for 1927. 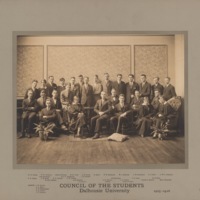 She remained active as an alumna as part of the reunion committee. 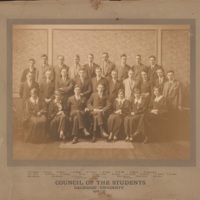 In 1929, Avis married William Jarvis McCurdy, a fellow Dalhousie alumnus who had also been involved in student’s council and was the Life President of the Class of 1926. The couple had four children and lived in Toronto, Ontario. 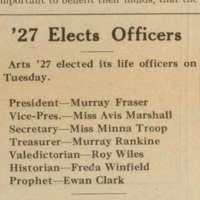 Avis became involved in the Cooperative Commonwealth Federation and the First Unitarian Church of Toronto. 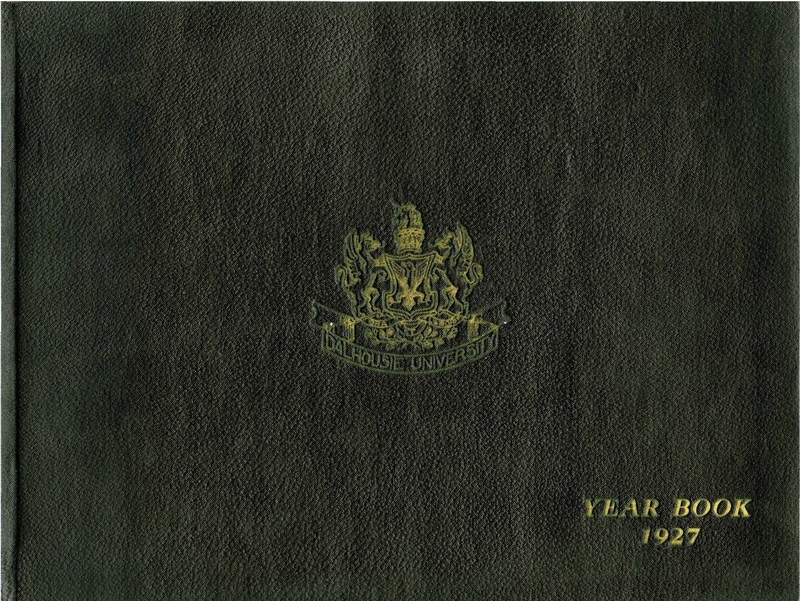 Digital copies of Dalhousie's yearbooks from 1927-1975 are available on Dalspace. 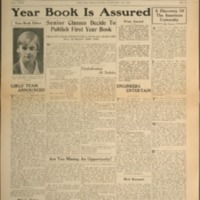 Avis Marshall was the editor of Dalhousie's first yearbook in 1927.